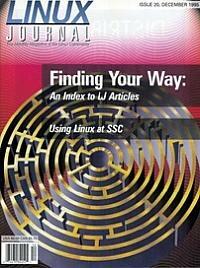 Find out how SSC uses Linux to produce all of its products, including this magazine. A complete listing of articles from issues 1-19. Linux Journal readers rank their favorite Linux-related products.